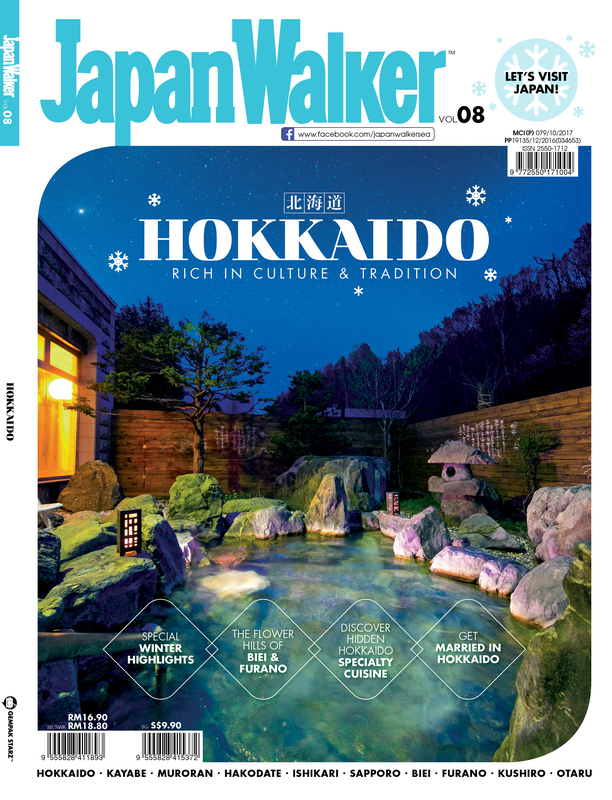 5 Beautiful Starbucks in Japan	No ratings yet. Daiso: What Should I Buy? Part 2	No ratings yet. 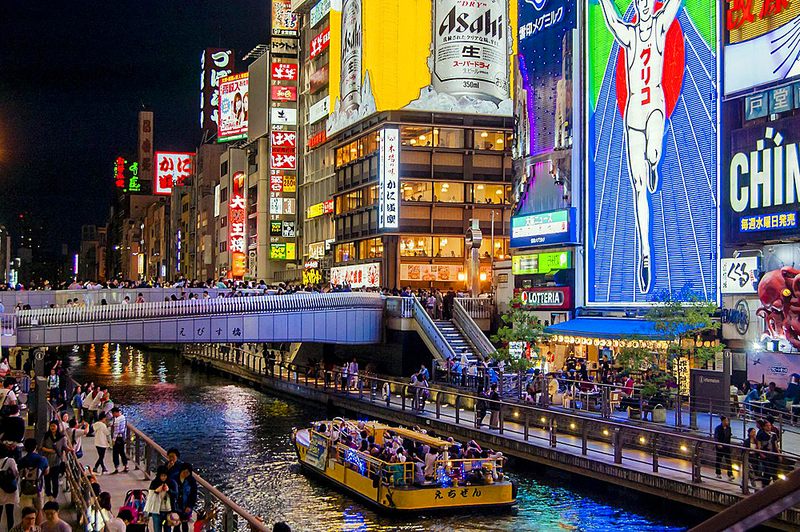 For those who have visited Osaka in Japan, you would most likely be familiar with the Glico Running Man neon sign at the famous Ebisu bridge in Shinsaibashi and Dotonbori. But do you actually know what is Glico? 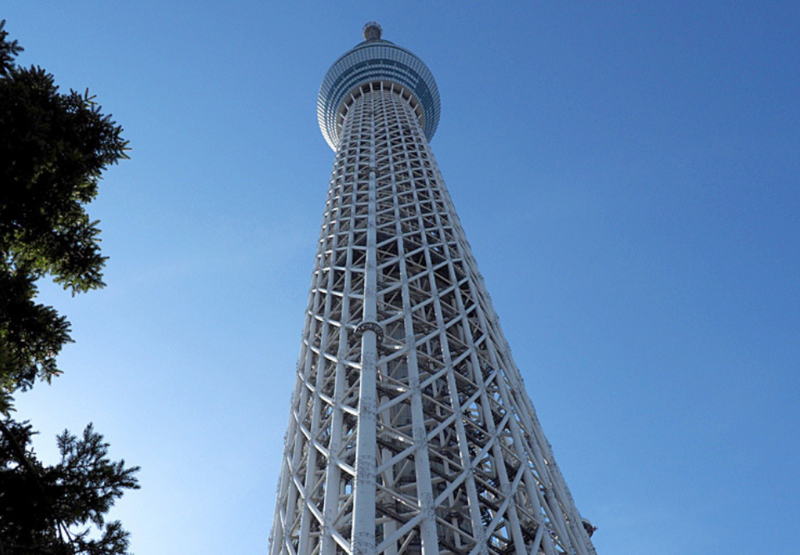 This article will shed some light on the famous Osaka landmark and souvenir. 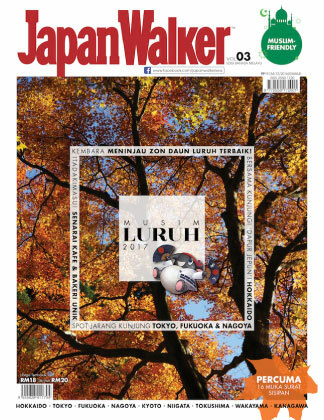 Malaysians are also well known for their souvenirs when they travel, and when visiting Japan, there are a few popular souvenirs that they will buy back for family and friends. 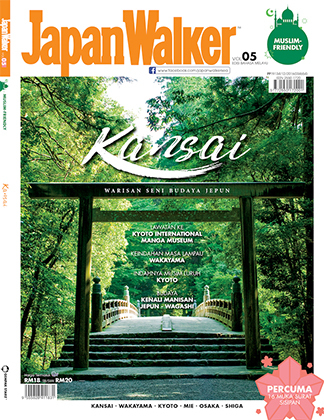 Usually, the most common Japanese souvenirs are the ever popular different flavored Kit Kat chocolates and the tasty Japanese biscuits or cakes. After sharing the information about Glico here, hopefully this will change and Malaysian will also consider getting some Glico products as souvenirs. Osaka is the home of Glico, but you can also find these products all over Japan. Read on to learn more about Glico. The name Glico comes from the word Glycogen, which is an extract from oyster soup, and was conceptualized in 1919. This means that in the year 2019, this bran will be 100 years old. However, the brand Glico was only established on 11th February of 1922 as Glico Caramel, and packaged as a heart shaped caramel in a red box with the running man logo. Over last 90 years, the brand has evolved from a caramel candy maker into one of the largest sweets and biscuits brand in Japan. A collection of Pocky boxes. Photo Wikipedia. What Are The Most Famous Glico Products? If you know the brand Pocky and Pretz, these are the two most famous names from the Glico brand. 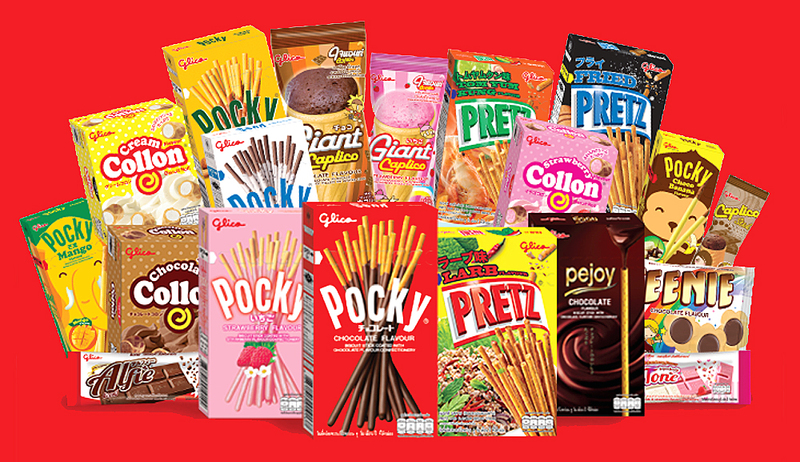 You will surely have tried or seen Pocky in various flavors all over Japan and even in Southeast Asia. 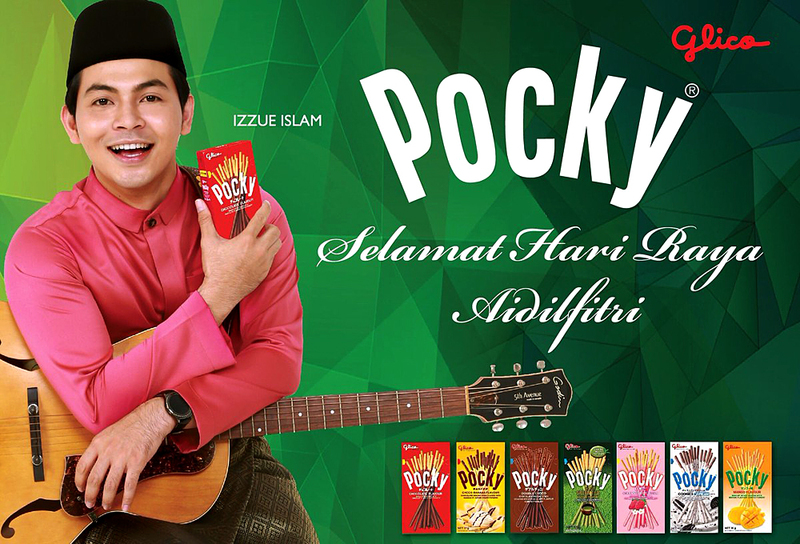 Pocky – Overall, Pocky is the number one product from Glico, which is a chocolate covered biscuit stick that is foil packed in a box. Pocky also comes in all kinds of flavors nowadays, but the chocolate remain the most popular. You can find Pocky in commercial flavors, and also some totally odd flavors like banana, sweet potato and even matcha flavors. In total, there are about 15 to 20 flavors of Pocky available all over Japan. If you are lucky, they may even have limited edition flavors for the season too. Pretz from Glico, a very popular snack. 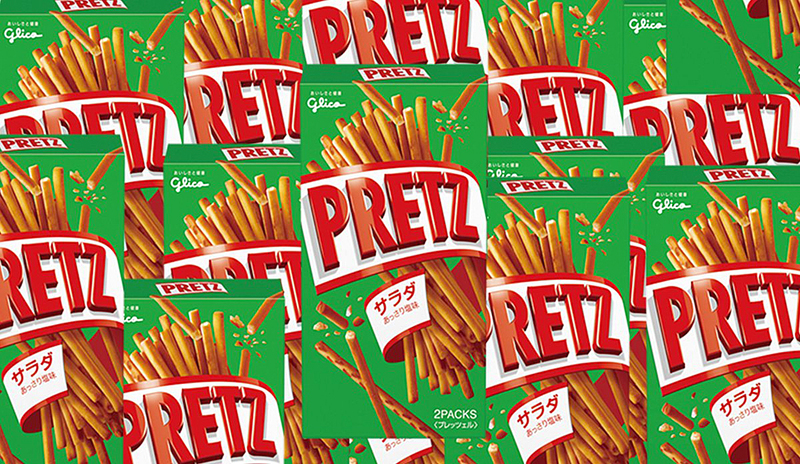 Pretz – This brand was created and highly inspired by the German Pretzels brand, and was introduced in Japan by Glico in 1963. Shortening the name made it easy for the Japanese to pronounce and foreign word, and is a very local popular snack throughout Japan. Glico Seventeen Ice Cream – This is one of the new products by Glico, and it is 17 flavors of pre-packed ice cream in a cone. These are not recommended as souvenirs, but when you are in Osaka, do look for the Glico-ya shop, and look for the vending machine that sells these ice creams. Why Is The Glico Man Running? 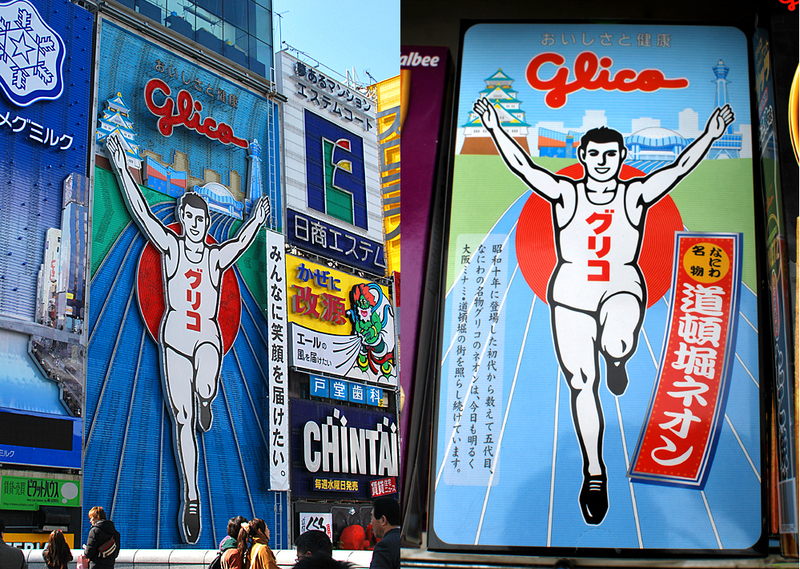 The who concept of the running Glico man is based on a marathon runner who is finishing his race and raising his arms in victory. This serves as a momentous logo for the company where victory is the main achievement. The Ebisu Bridge in South Osaka where the Glico Man neon sign is. Photo Wikipedia. 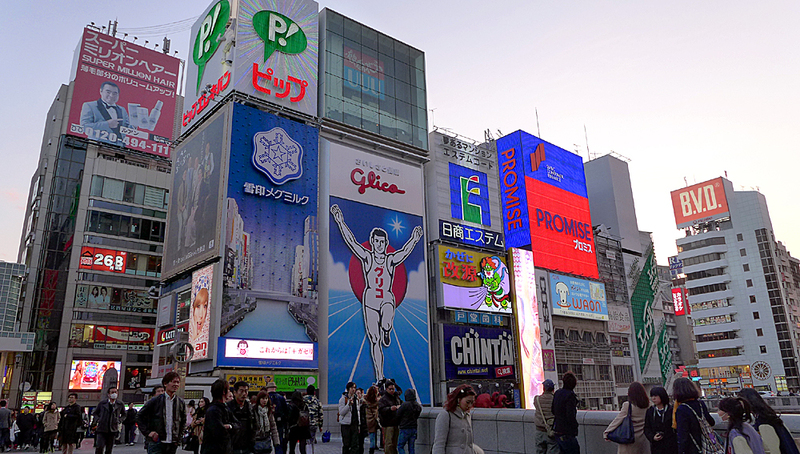 Where Can You Find The Giant Glico Man Neon Sign? This is the most prominent feature at Osaka’s Shinsaibashi and Dotonbori shopping district by the Dotonbori River in South Osaka. Most travelers to Osaka will surely make a stop here to take photos of the many neon signs that line up along the buildings by the river here. 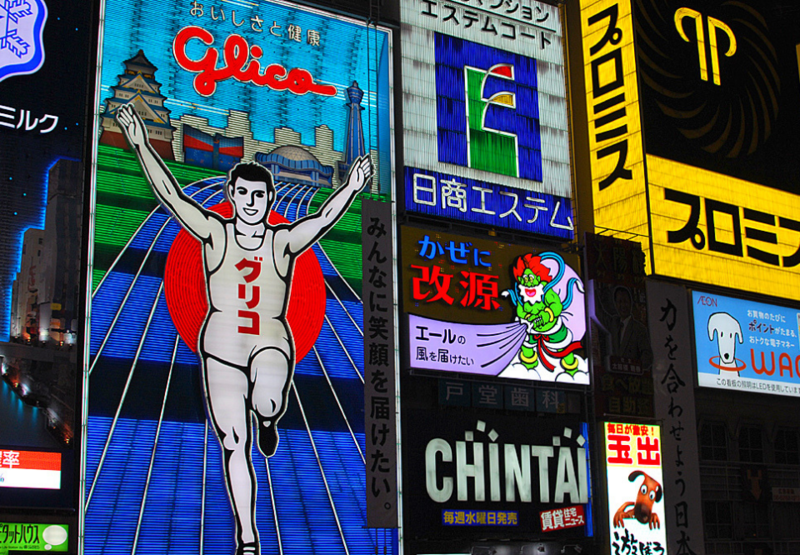 Here is a fun fact about the Glico Man neon sign – It was put up in 1935, and has been here since then. This is probably Japan’s most famous bill board sign, and some even say that it could be in the Top 3 Most Famous Billboards in the world. This signboard is also running in its sixth generation, having gone through six different concepts since first appearing in 1935. The sixth generation signboard was also unveiled in October of 2014, which is a modern digital style signboard with running lights that change. At 4.00 PM, some neon signs are on, but the Glico Man lights come on at 6.00 PM. When Is The Best Time To Take Photos At The Glico Man Neon Sign? Obviously, the best time is around 6.00 PM just as the sun goes down, and the neon lights are put on. But in general, the best time is at night when the neon sign is fully lit up. If you are here in the day, you can still take photos, but it will not be as beautiful as taking the pictures at night. Just before 6.00 PM, as the sun sets, the Glico Man sign seen from the main bridge. 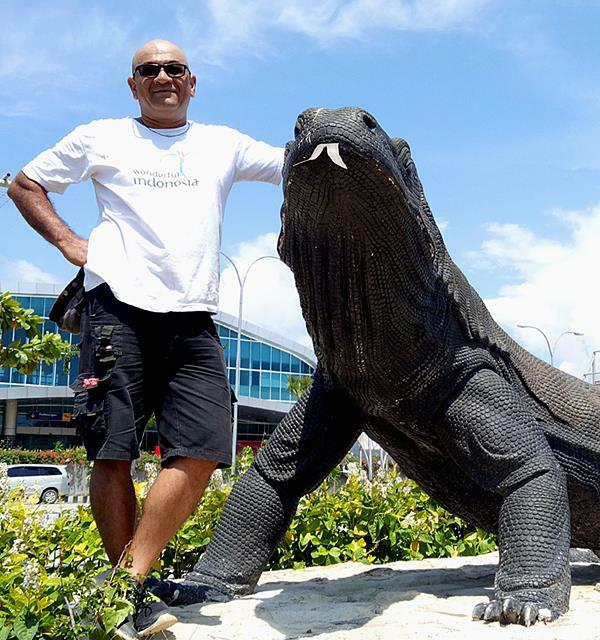 With today’s smart phone technology, you can simply use your phone to take a photo here, but for a really nice photograph of this landmark, I will recommend you use a micro two thirds or a DSLR camera with a tripod to get your photos. Overall, the entire place is well lit due to the many other neon signs and outdoor advertising monitors, and this will provide sufficient lighting for your pictures. Otherwise, you can use your flash or external lights for photography here. 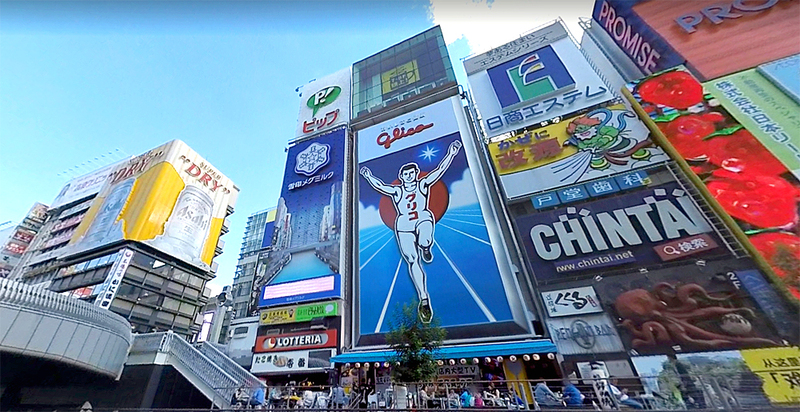 Best Angle To Take Photos Of The Glico Man? With everyone wanting to take a memorable photo of Osaka, the Glico Man is probably the main highlight of your selfie or photo. 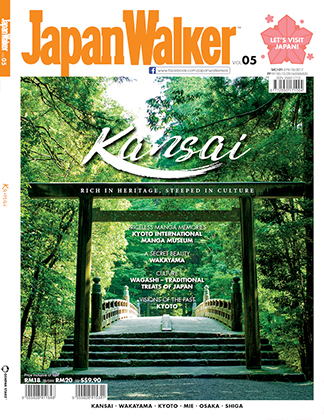 Most people will just stand by the Ebisu bridge that connects Shinsaibashi and Dotonburi to take that photo, and you will also see hundreds of other tourist doing the same thing. A less crowded area would be off the Ebisu bridge, and just right across the Glico Man by the river, and you can get a nice clear photo here. You probably need to walk 50 meters from the bridge, and look for the H&M store area to do this. The Tombori River Cruise that passes the Glico Man signboard. Photo Osaka Info. 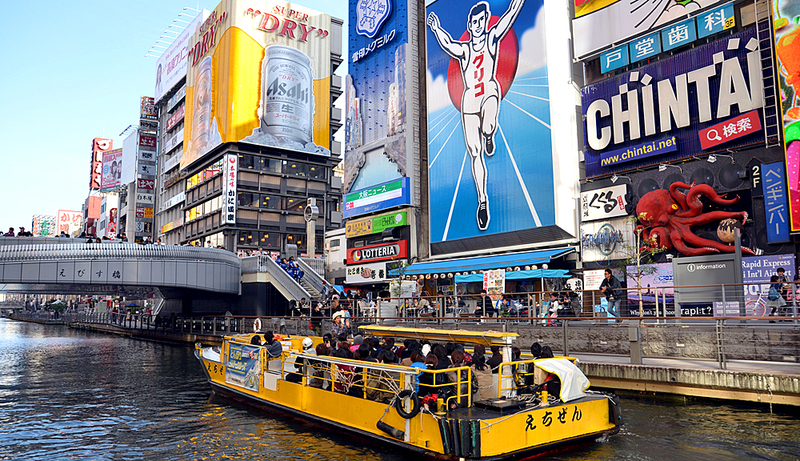 There is also a Tombori River Boat Cruise along the Dotonbori River where the cruise will pass the Glico Man sign, and you can also take photos from the boat. 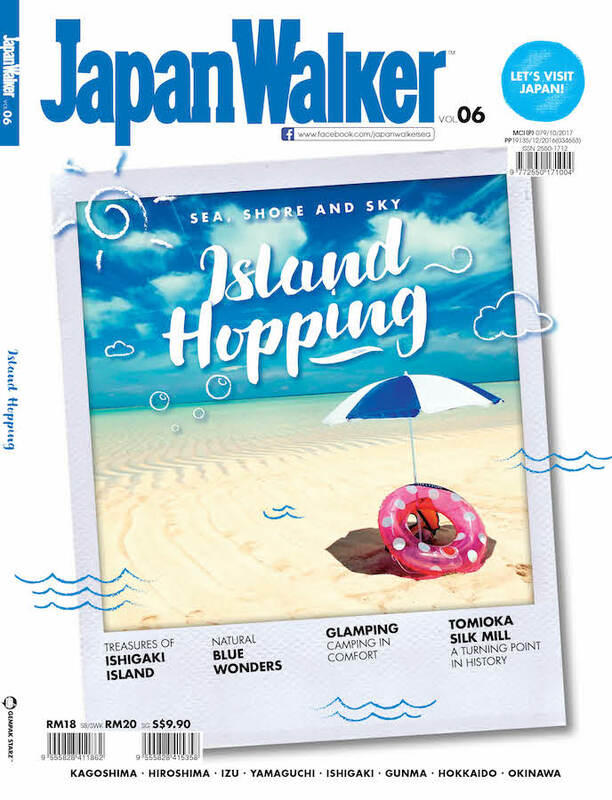 The 20 minute cruise costs ¥900 per person and takes you through popular sites along the Dotonbori River here. 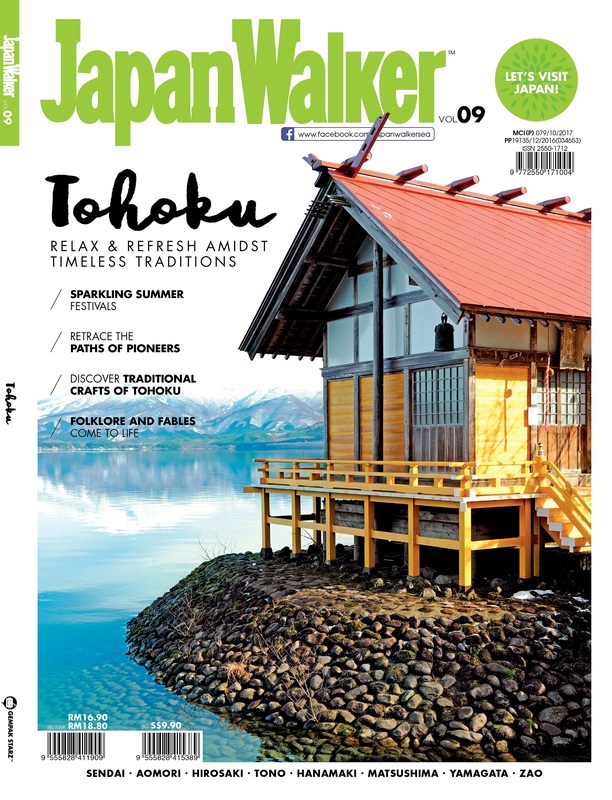 Website: Tombori River Cruise. 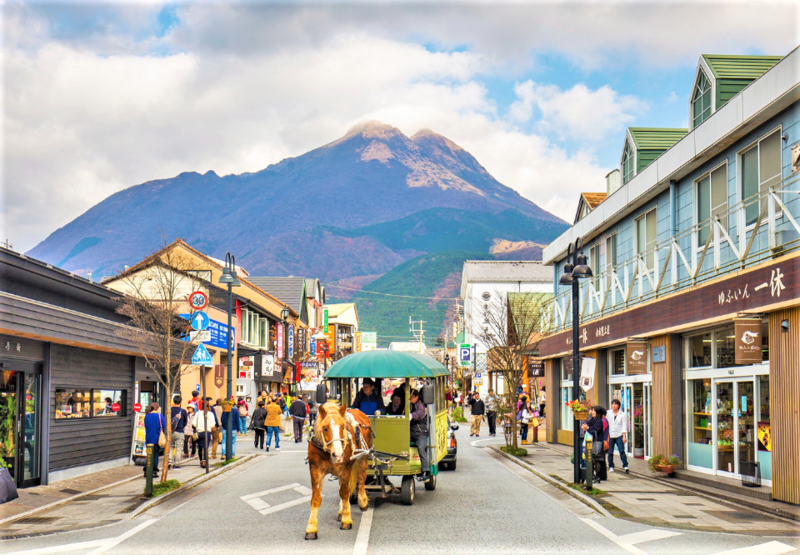 What Are The Best Glico Products For Souvenirs? If you are visiting Osaka, I would recommend you pay a visit to the official Glico store where you can get all the Glico products as souvenirs. Just to confirm, the prices are quite controlled all over Japan, and at the Glico store, you will get the entire range of products. 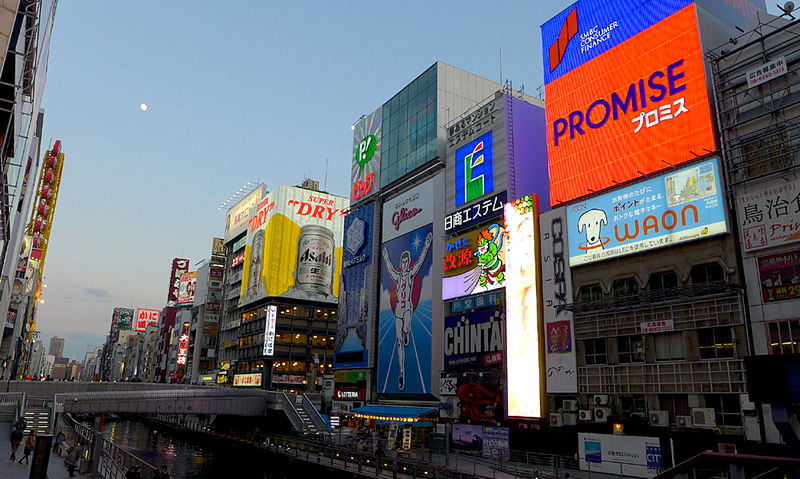 The official stores are called Glico-ya stores, and they stock everything that the brand makes. 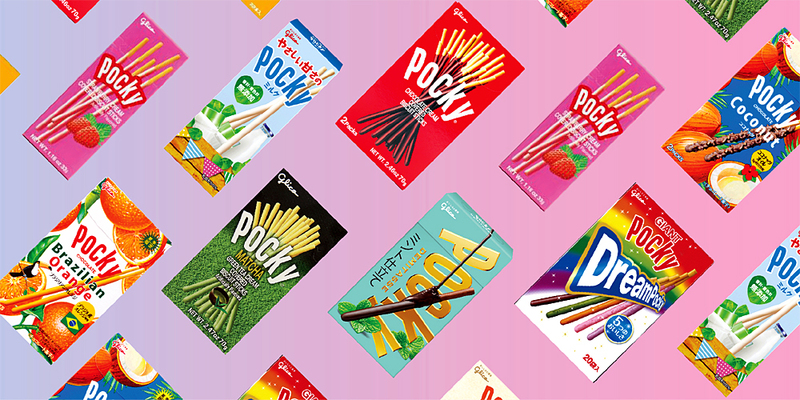 You can find the widest variety of Pocky and Pretz here, while other products include cookies, custard puddings and even their own ice cream which comes in 17 flavors. Glico Malaysia even promotes Halal products from their range. Photo Izzue Islam on Twitter. However, being Asian tourist, the number one item that is highly sourced for is Pocky, and in all sorts of flavors that is not available in your own country. One of the highest demand is no other than the Rainbow Pocky. If you are looking for something other than candy or biscuits, the Glico-ya store also sells merchandise related to the Glico Running Man. You can find pens, bag tags, miniature sized Glico man, and key chains to name a few. 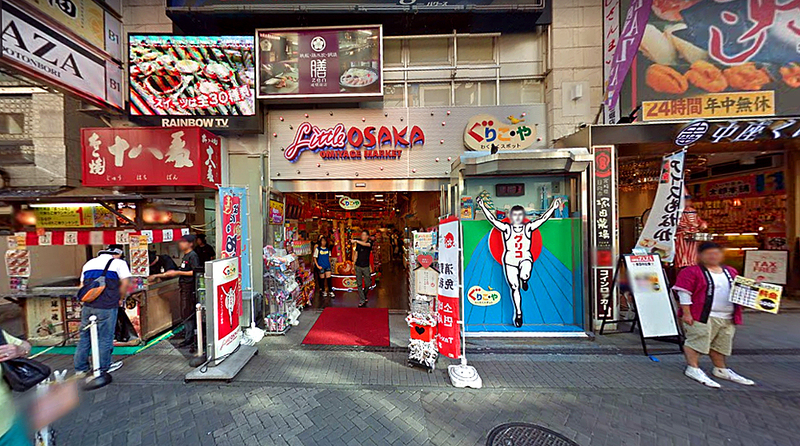 Little Osaka is where you can find the Glico-ya Store in Osaka. Photo Google Maps. 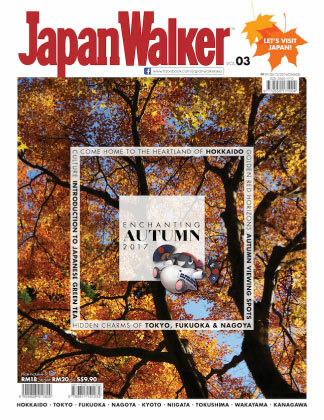 So, the next time you visit Osaka, do stop by to see what kind of unique souvenirs you can get for your family or friends as it will surely be something different and unexpected from Japan. 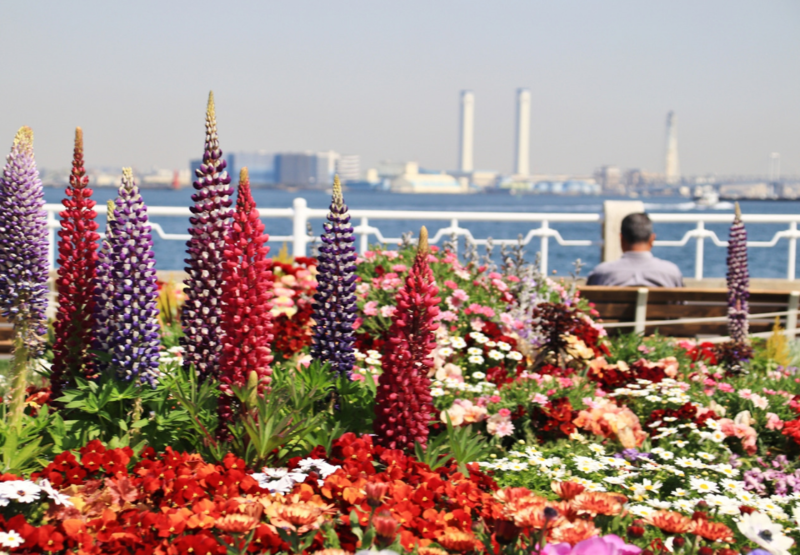 To learn more about Glico, you can visit their website in English.